AMARILLO, TX (KFDA) - With more online purchasing than ever before, more criminals are targeting people's homes for packages. It's a problem happening all across the country, including right here in Amarillo. She bought Christmas presents for her family. The package was valued around $1,800. "It's something that I'm going to have to think about twice now because I don't want to have to go through the hassle again of calling multiple places, posting on Facebook to see if anybody has seen stolen items and just feeling insecure about buying online," says Padilla. Popularity has gone through the roof this year with cameras residents can attach to their doorsteps for peace of mind. Many of them are motion-sensitive, sending your phone an alert when someone is at your door. 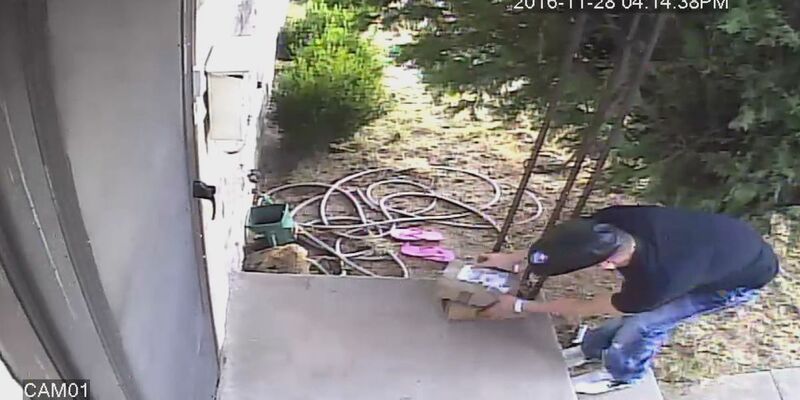 In fact, Newschannel 10 placed a "decoy package" at a doorstep to test the device. No one went for ours, but these videos are proof it's happening in our city. "You can talk to the people," says VP of Allstate Security Danny Bixler. "You can look at the recordings. You can have somebody come by and pick up the packages and get them off your porch. So you can help in preventing that type of crime"
But these devices aren't an option for everyone. You can also pick the package up at your local post office, use signature confirmation, leave delivery instructions, deliver to your workplace or redirect the package to a neighbor or relative. One thing is for sure...these criminals are still hard at work trying to steal Christmas from people around Amarillo. "I don't know what their situation is, I'm going to try not to judge too much," says Padilla. "I know they must be going through something difficult, but they have to understand that we all work hard just as everybody else. and nobody deserves this. They wouldn't like if we took from them. So it would be just a better world if everybody could learn to keep things to themselves and respect the belongings of others."